Calculate matting dimensions required to cut a custom mat. 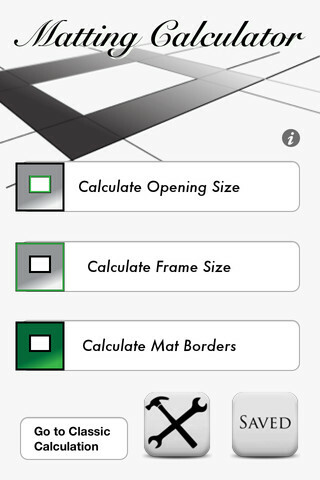 Matting Calculator enables anyone to calculate the dimensions needed to cut a mat to fit any artwork. "Excellent and most useful tool . Very happy to ad this app to my iPhone so It is always handy when needed Thanks for your good and practical tool"
"This is a helpful app. Especially considering it calculates overlap." Proportion utility to resize an image proportionately.